May 2009: The Memorial Day Weekend Air Show held at Jones Beach provided an excellent opportunity to raise awareness regarding the dangers of unprotected sun exposure, Skin Cancer / Melanoma. 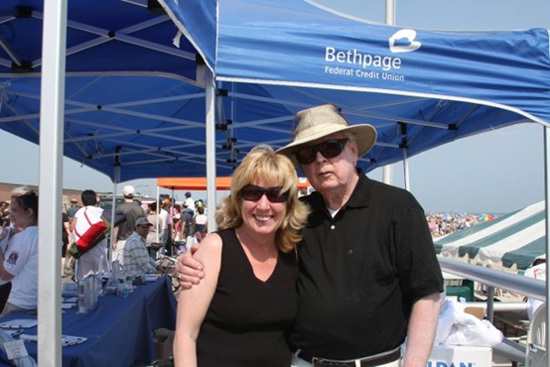 We were delighted to respond to the invitation of the Bethpage Credit Union, the lead sponsor of the Air Show. Dermatologists did spot checks in the CCMAC tent on both days. Thanks again to the sponsorship of OSI Pharmaceutical Foundation, a full page ad containing BE SUN SMART® information outlining regular self body exams was given to every person entering the event. It was estimated that close to 400,000 attended during the course of the two day show. Below (L) Dr. Ted Daly of Garden City Dermatology; as well as Pat Coyne & Kathy Antonacci (Below Right). 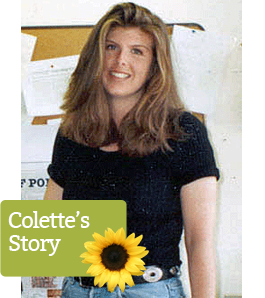 Kathy works tirelessly to educate others regarding the disease. She lost her beloved husband Guy to Melanoma last year.